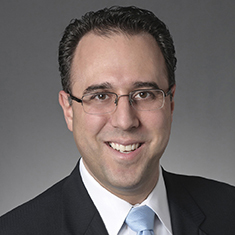 Doron S. Goldstein is a member of Katten's Intellectual Property department and co-head of the firm's Privacy, Data and Cybersecurity practice, as well as deputy general counsel to the firm. He is part of the inaugural group of twenty-seven lawyers certified as Privacy Law Specialists by the International Association of Privacy Professionals (IAPP), accredited by the American Bar Association; the IAPP is not affiliated with any governmental authority. Doron is also an IAPP Fellow of Information Privacy and was named a "Cybersecurity Trailblazer" by the National Law Journal. With his background in information technology, Doron works closely with clients' legal and technology teams in complex data management, cloud and software-as-a-service (SaaS), and outsourcing arrangements, and counsels clients on privacy practices, information security, and data breach planning and response. Doron also co-heads Katten's Advertising, Marketing and Promotions group, and regularly advises on various aspects of advertising and promotional programs, branded entertainment, and integrated marketing campaigns, including talent and production agreements, advertising agency relationships, user-generated content, Internet distribution, brand and product integration, sponsorships, and promotions. In addition, he provides counsel on trademarks and branding, including with respect to certification marks and geographical indications. Clients from a variety of fields, including consumer electronics, chemical manufacturing, financial services, information technology and biotechnology, seek Doron's representation in licensing and establishing joint ventures and strategic alliances to exploit intellectual property and technology. He also represents clients in complex royalty sales and intellectual property and whole business securitizations, and advises on intellectual property concerns in bankruptcy. Doron worked with the Information Highway Advisory Council of the Government of Canada (Industry Canada) regarding crown copyright and the publication of federal statutes on the Internet. He has been a member of the Electronic Commerce Working Group of the Uniform Law Conference of Canada, and was involved in drafting the Uniform Electronic Commerce Act. Shown below is a selection of Doron’s engagements. Is Your Business Prepared for the Ransomware Epidemic?